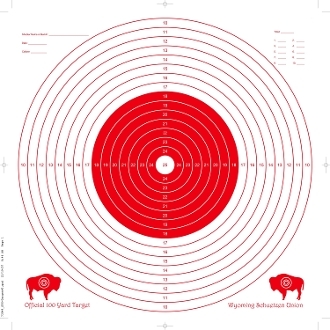 Wyoming Schuetzen Union "German Ring" Targets 12.5" x 12.5"
Our Products >> 100-yard/3-ring Wyoming Schuetzen Union "German Ring"
100 yard 3 Ring: All targets have large iron sight red bull on one side, smaller scope sight red bull on reverse side. Scaled appropriately for all distances from 50ft. to 200 yds. 100-yard/3-ring Wyoming Schuetzen Union "German Ring"